If you are a professional in the tourist or communication business and you work regularly or occasionally on promotion of the destination Riviera... This picture library is for you! 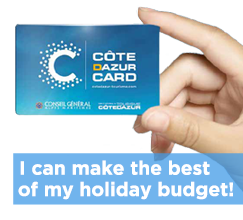 We would like to make our Riviera Côte d’Azur image bank available to you to help you illustrate your texts and your advertising and promotional supports. This excludes all commercial supports (guides, books, posters... available for sale only). 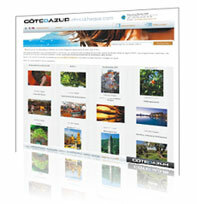 You can view the images by clicking directly on a theme or by using key words in the search engine. You can select those you are interested in and place them in a viewer, then send us your order so we can send you high-resolution files. Si If you are already registered on our site, click on the Identify yourself thumbnail, then enter your identifiers to access your account. If you do not yet have an account on our site, please click on Register and fill in the registration form by following each step. We will examine your request with the greatest attention before sending you the images you may use in compliance with our licence.